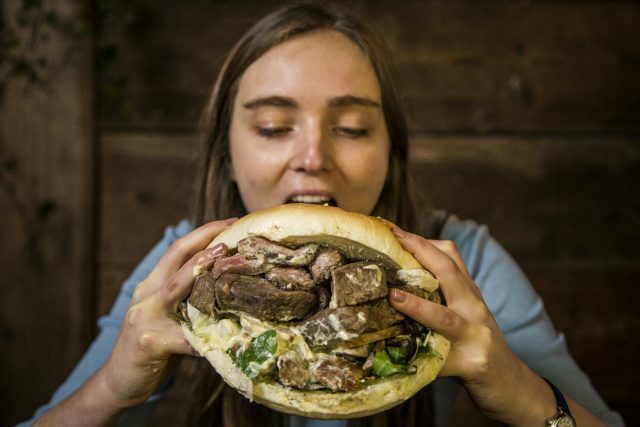 Computer games giant Capcom rolled up to Flatiron Square in Southwark on Wednesday to launch its upcoming Monster Hunter: World game with its pop-up Monster Hunter Meat Shack. 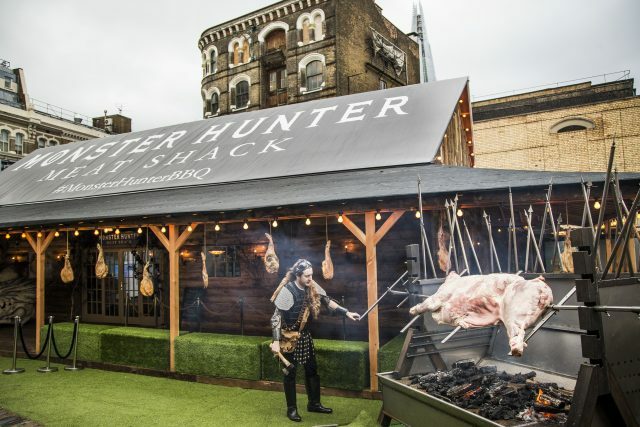 Guests were treated to hunks of meat carved from an 8ft spit roast, monster burgers and barbecue platters to celebrate the game’s launch, which sees a hunter roam the wilderness ridding it of ‘monsters’, with a console set up at each table served by fur-clad warriors. The event was part of a longer pop-up that will remain at Flatiron square until Sunday. Attendance to the event is free, and includes free food, drinks and a go on the new game, if you can nab a ticket. Grab a slot here. https://monsterhunterbbq.eventbrite.co.uk.